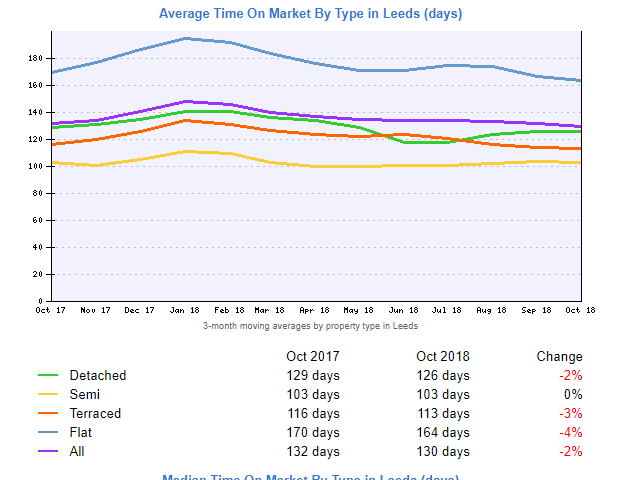 Which properties sell best in Leeds? How are flats selling at the moment? What about terraces, semi's, and detached houses? Are small properties more popular than large ones? How long do these properties take to sell, and how long would mine likely take to sell? Is the market better or worse than it was a year ago?